What meaning do we derive from task-oriented improvisations? How can we score these improvisations for compelling, meaningful performance? With these questions as the foundation, we will improvise with tasks that access imagination, memory, rhythm and systems of the body. Our improvising will culminate in scores for performance. Dancers will improvise, score, perform, critique and receive feedback. There will be lots of space for the growth of collectively derived approaches to and questions about improvisation. Michele Torino Hower loves to improvise. She has been collecting improvisational and choreographic tools from inspirations such as KJ Holmes, Susan Rethorst, Luciana Achugar, Sarah Michelson, Kirstie Simpson and Jennifer Monson, among others. She now seeks greater understanding of her relationship to her diverse collection of tricks. Michele’s work has been presented in NYC, New Mexico and Oregon. 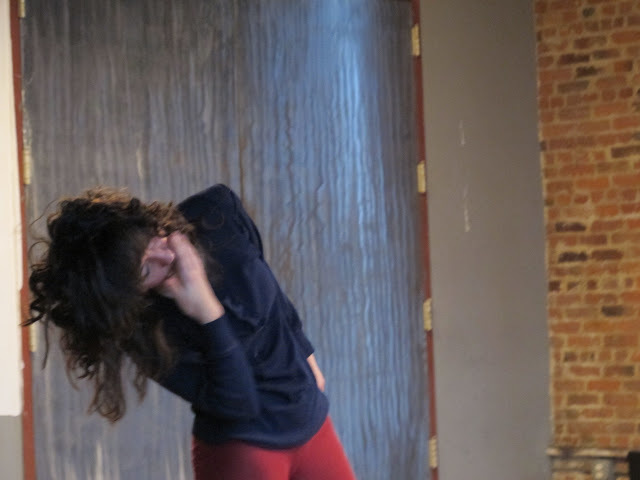 She performs with the improvisational ensemble Mariangela Lopez/Accidental Movement and teaches dance in NYC public schools.